Last fall, the Undergraduate Council’s old voting system had difficulties handling election traffic. Last spring, literally no one—not even the sole candidate running—voted in the Quincy midterm elections. With this backdrop, one would hope the Council took some serious proactive steps in preparation for last week’s midterms. 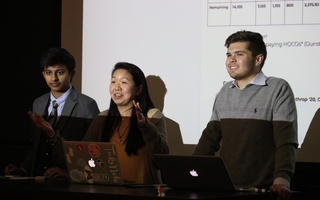 After many students were left waiting for the voting portal to accept their submissions in the fall, with many unable to cast a vote at all, the UC deserves credit for getting a new platform up and running for last week’s midterm election. However, a new voting system is not enough. The midterms see around a fifth of seats on the Council on the ballot, yet the election has been relegated to insignificance at best and a subversion of democracy at worst by the UC’s poor publicity efforts and short voting period. 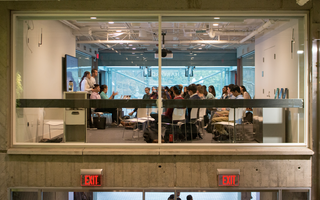 Last year, 27 students declared candidacy for 12 open seats—nothing to write home about. This time around, the ratio was even worse. Only seventeen students vied for 10 open seats, with four Houses holding uncontested elections, twice as many as last year. This should come as no surprise given several missteps in preparing the election. In their welcome back email at the beginning of the semester, UC president Catherine L. Zhang ’19 and vice president Nicholas D. Boucher ’19 advertised Houses with open UC seats, yet forgot to mention both Adams House and Leverett House. This year, neither House had a contested election. More troublingly, both Houses had returning UC members up for re-election. In both these cases, according to Leverett House representative Salma Abdelrahman ‘20, other UC officials have privately defended the failure to solicit candidates by citing the fact that seat openings came suddenly. But that is not an excuse. In spring 2017, after an Elm Yard representative left the Council on short notice, the deadline to declare candidacy for the position was extended. In Leverett House, the seat opening was known well in advance, coming as the result of a representative’s term ending on the Executive Board, yet not a single email went out about the opening. Only on Jan. 31, about halfway through the voting period, did a UC representative send an email acknowledging the shortcoming. Instead of a real fix, the Council suggested that interested students pursue a write-in campaign. This is disappointing. It delegitimized the official process by encouraging students to participate without a proper understanding of election rules, as candidates officially on the ballot must attend an information session with the Election Commission. Less than 10% of students voted in the midterm elections last year, and this year’s turnout of 371 cast ballots was even worse and unsurprising, given the Council’s apparent lack of any strategy to increase turnout. The new voting system alone is not enough. Zhang and Boucher’s automated email went out after 1 p.m. on Jan. 30, leaving less than 48 hours until the voting window closed at noon on Feb. 1. In Quincy, for example—apart from Zhang and Boucher’s Harvard-wide email—not a single email reminding students to vote was sent. The UC already saw a less-than-desirable election turnout in the fall. Comparatively, these midterms had a shorter voting window and received less publicity from the Council. This is disappointing. With a fifth of seats on the Council up for election this midterm election cycle, it was disheartening to see the UC undermine its elections by failing to give them the attention they deserve and give the candidates running their fair opportunity. During a time in the College’s history in which the UC is growing in power and influence, maintaining a democratic process and equal playing field, even in less significant elections, is critical in maintaining trust between the Council and those it serves and represents. Around the country, voter suppression is a serious problem. The events of the last week run dangerously close to being just that. Harvard should at least stand to be one place that values elections and turnout. I know firsthand the impact of these failures. When I sought to run for a position this election season, I was forced to pursue a write-in campaign after being unable to formally declare my candidacy due to the Council’s communication oversight. This ultimately led to a re-election of the incumbent UC representative against whom I was running. Though my bid was unsuccessful, I am hopeful that it will lead to positive change in future elections. The UC serves as the voice of the student body, and on many counts it does a strong job representing the concerns and opinions of undergraduates. To ensure student trust and confidence in the Council, however, it is critical the UC emphasize its elections. With greater effort and focus devoted to midterm elections, the Council will continue to be an effective and democratic outlet for pursuing change on this campus. Ben I. Sorkin '20 is a Sociology concentrator in Leverett House. During the 2018 spring midterm elections, he unsuccessfully ran for a seat on the Undergraduate Council as a write-in candidate. The continuous decline in student engagement in the UC represents a systematic problem with the Council that cannot be solved by a simple change of leadership.